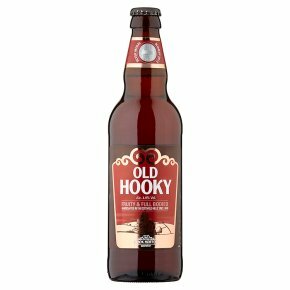 Old Hooky is a full-bodied fruity beer with a suggestion of malt. Hook Norton in the Cotswolds is run by the great-great-grandson of the original founder. One of only a few surviving independent family-run breweries, it's a fine example of a Victorian tower brewery with water still drawn from on-site wells. Fruity & full bodied.Old Hooky is a beautifully balanced beer, fruity by nature with a well-rounded body and the suggestive echo of crystal malt. Try it as an accompaniment to meat dishes. Cheers!